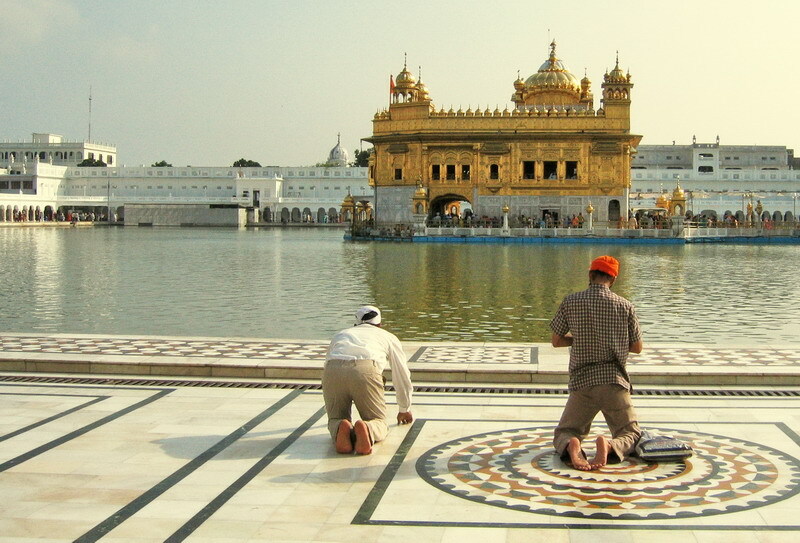 – the holiest spot for Sikhism – the world’s fifth largest organized religion with 25 million devotees, mostly in Punjab India. The religion was founded in the 15th century and is based on the teachings of 10 gurus, the last who died in 1708. The 10th Guru issued the 5 Ks rule for all Sikhs – kēs (uncut hair), kaṅghā (small comb), kaṛā (circular heavy metal bracelet), kirpān (ceremonial short sword), and kacchā (special undergarment). Hence, the TURBAN was invented.